Kanji is the last royal Kuro swan, an ancient race who once served the demonic Sidhee. The Kuro were betrayed and given as slaves to the Dryma fairies. When a Dryma is born, his soul attaches to a tree and to sustain their lives, the Dryma conscript the Kuro to protect their woods. In their servitude, the Kuro are languishing and dying off. Kanji is desperate to reunite his people with their stolen wings, but the task seems impossible. When Kanji discovers a plan to unite the Sidhee and the Dryma, he tricks the Sidhee prince and attends a masked ball in disguise. There he meets Prince Tristan, who is nothing like the other fairies. Kind and compassionate, Tristan has a plan to free the Dryma from their dependence on the trees—and their need of the Kuro’s protection. It could mean freedom for Kanji’s people, but it might also mean choosing between them and the life of the fairy who is—impossibly—his mate. When Tristan is wounded in battle and left for dead, his survival depends on the success of his experiments. Can Kanji dare to believe, or must he come to terms with the loss of his mate? Hidden Wings by Ana Raine caught my attention primarily due to the inclusion of swans in her fantasy story, well that and the fae. I have long admired the species as much for their deadly attack skills as for their elegance and loyalty. So I had high hopes for seeing such natural history characteristics included as part of the plot and folded into the character of Kanji, the last of the royal Kuro Swans. What I ended up with was a interesting mixture that didn’t always make sense but still managed to be entertaining none the less. Ana Raine set a huge task for herself with this tale, specifically creating the two species, their individual cultures and collective histories and then bringing them together in the forms of Tristan and Kanji. I think that in putting her attention towards the Dryma and the Kuro, the characters of Kanji and Tristan came off as pale comparisons. There is a richness in the mythology that Raine has created that just is so lovely, the dependency on the trees, the need for sacrifice that runs throughout many ancient cultures, and then threading those elements through her story that pulls you in and makes you forget some of the other aspects that might otherwise have you shaking your head. I’ve seen swans take out foxes and dogs. Swans are deadly. Where is that here? Also, for many of you, this is not your happily ever after, nor is it meant to be. 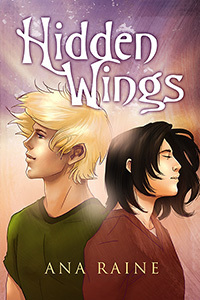 Hidden Wings is part of Dreamspinner Press’ Bittersweet Dreams titles which states in part that “… these stories of romance do not offer a traditional happy ending, but the strong and enduring love will still touch your heart and maybe move you to tears.” Note the no traditional happy ending. So, you wouldn’t go into this book expecting to get one and you don’t. I didn’t mind that, but I know many readers will. No, what bothered me was that I thought the characters and their relationship as mates needed more substance, at least as much as their species and cultures got. Hidden Wings has so much promise, enough that the author could easily pull more stories from without having to establish a base universe once again. If you are a fan of fantasy, pick it up and decide for yourself. This entry was posted in Book Reviews, Books, Dreamspinner Press, eBooks, LGBTQ Book Reviews, M/M Book Reviews, M/M Fiction, M/M Romance, M/M Supernatural Fiction, Shifters, Weres and tagged A MelanieM Review, Ana Raine, Bittersweet Dreams, fantasy, Hidden Wings by Ana Raine, High Fantasy, Mystery/Suspense. This was a great story. Scott has been so conflicted throughout his life by what happened when he was a kid with his parents and then how it followed him into adulthood. Cory has never been ashamed of who he is and is more than willing to give Scott the chance to prove that he isn’t what he used to be. Their relationship starts slowly and Cory really gives Scott the opportunity to get comfortable in his own skin for the most part. I could just feel how Scott was struggling during the book and the acceptance he was looking for from those around him. This is the first audiobook I have ever listened to. I had read the other books in the series and had this one sitting around awhile and figured this would be a great chance to actually get to the book. I loved being able to listen to the story while at work and around the house. The narrator did a great job of showing the characters personalities during his reading and just added to the story with the different voices he used. Cover art by LC Chase is great and I wouldn’t do anything different. 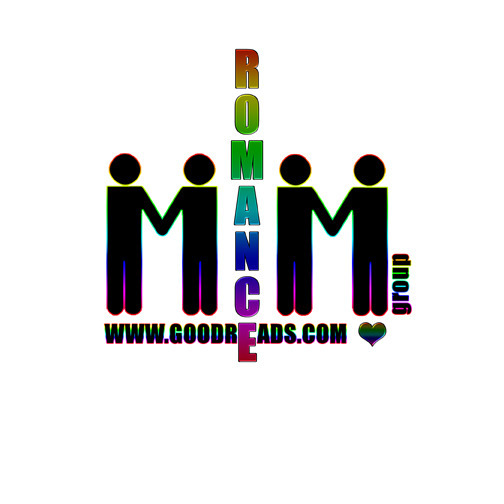 This entry was posted in Audio Books, Book Reviews, Books, Contemporary fiction, LGBTQ Audio Books, M/M Book Reviews, M/M Contemporary Fiction, M/M Fiction, M/M Romance, Riptide Publishing and tagged An Alisa Audiobook Review, An Alisa Audiobook Review: Pulling Leather (Pickup Men #3) by L.C. Chase and Dorian Bane (Narrator), An Alisa Highly Recommended Audiobook, EPIC Ebook Awards Finalist (2016), gay romance, Lambda Literary Awards Finalist (2015), Narrator Dorian Bane, Pulling Leather (Pickup Men #3) by L.C. Chase and Dorian Bane (Narrator), Rainbow Awards Honorable Mention Gay Romance (2015), Riptide Publishing audiobook. B.A. Tortuga’s Here For A Old Town New Interview and Release Day Guest Blog! 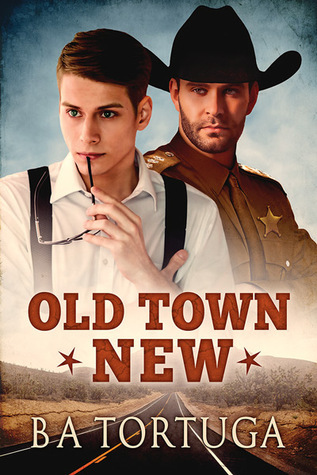 Scattered Thoughts and Rogue Words is so happy to have one of its favorite authors here to share her thoughts about writing and her latest release, Old Town New. Welcome, B.A. Tortuga! Hey, y’all! I’m BA Tortuga, resident redneck and lover of all things cowboy :D.
Oh, y’all. I eavesdrop, I talk, I visit. Most importantly? I listen. I listen to folks’ stories and wallow in them. I pride myself in telling the stories of people I know, of folks I love. I used to be a pantser, but these days I’ve found if I focus on the outline, I do a better job, tell a better story, and don’t cry as much during edits. Oh, man… Will and Dean from Latigo. I wrote them in vignettes and then put them in order and if I wrote them again I’d start at the beginning and write straight through. Oh, man. Bent by Sean Michael, Promises 2 by AE Via, The Stand by Stephen King, Dark Fall by Dean Koontz, anything by my wife, Julia Talbot. I was reading by 18 months. I am a voracious reader and I read every day. Grins My favorite books as a little one were Little Women by Alcott and What Katy Did by Susan Coolidge. I wanted to be Jo March when I grew up (and weirdly, my wife would tell you it happened). Are you the happiest girl alive? Answer: Hell, yeah. 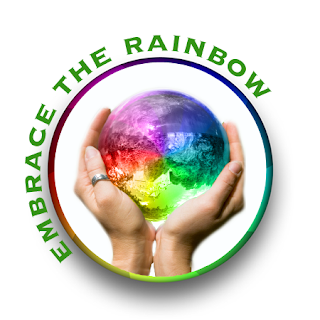 This entry was posted in Book Reviews, Book Tours and Contests, Books, Contemporary fiction, Dreamspinner Press, eBooks, LGBTQ Book Reviews, M/M Book Reviews, M/M Contemporary Fiction, M/M Fiction, M/M Romance, Uncategorized and tagged author B. A. Tortuga, author interview, Dreamspinner Press Author Release Day Book tour, lovers reunited, Old Town New by B.A. Tortuga.